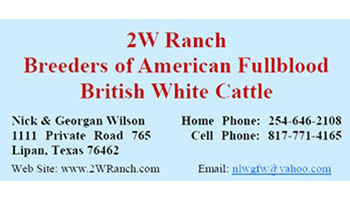 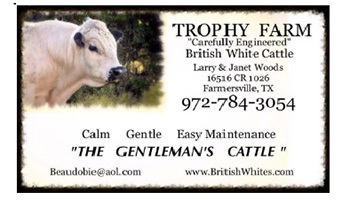 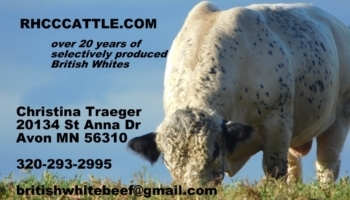 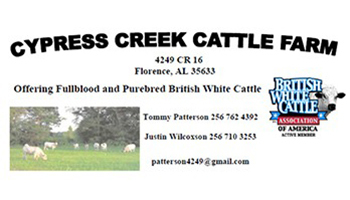 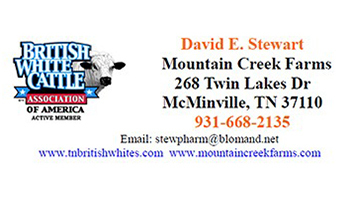 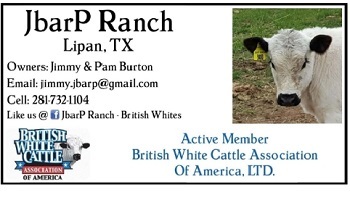 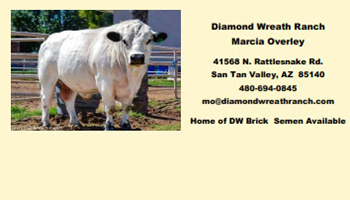 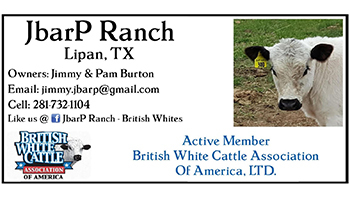 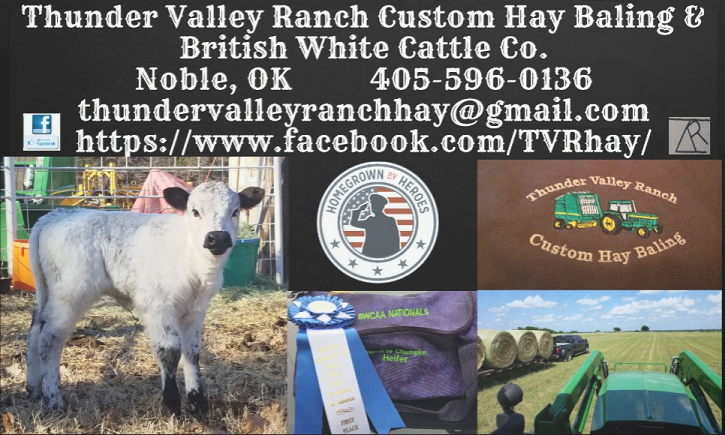 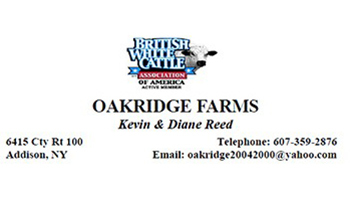 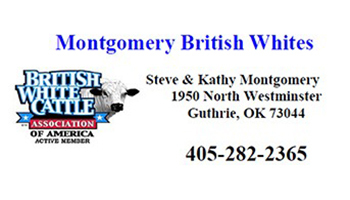 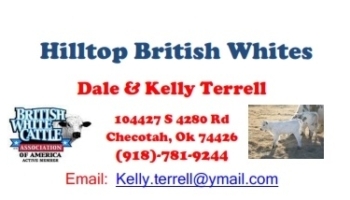 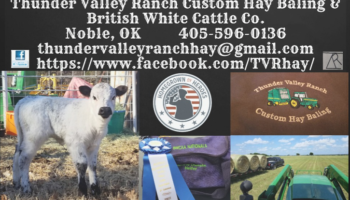 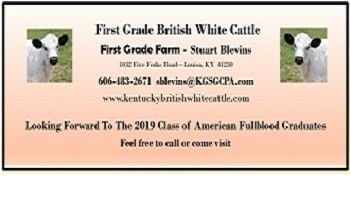 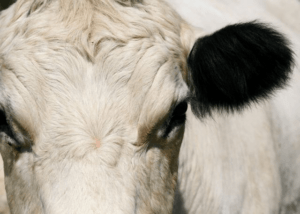 Financial support for a printed directory is furnished by the listed members, please visit them for registered British White Cattle needs. 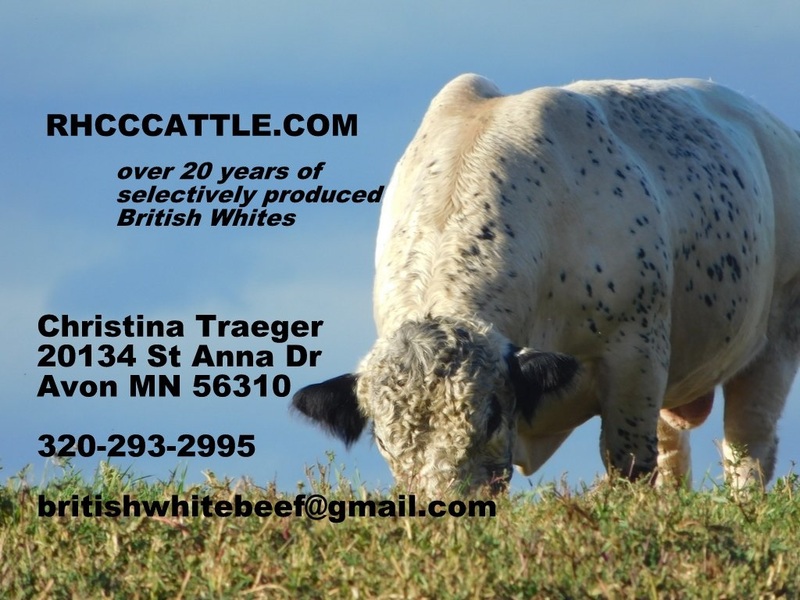 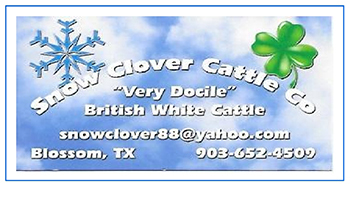 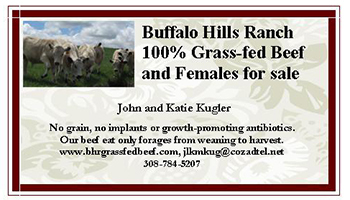 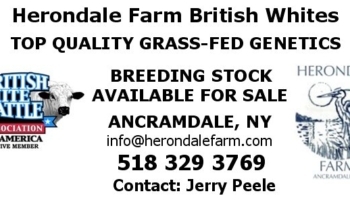 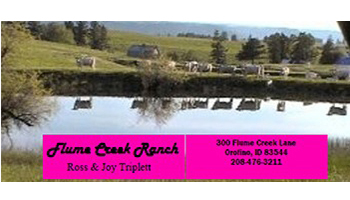 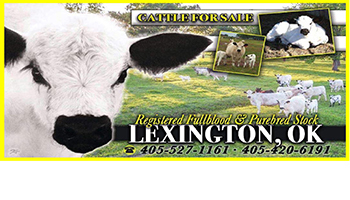 Breeders who advertise are generally the best prospects to have cattle for sale. 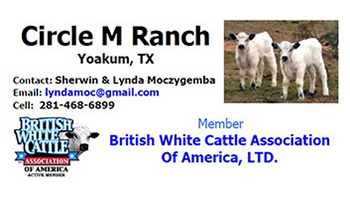 BWCAA active dues paying members, please contact the office if you would like to be included. 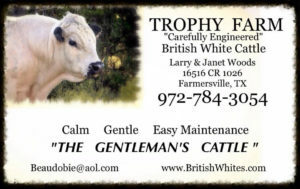 Would you like to have your ad here, rotating at the top of the Website and in printed Directory? 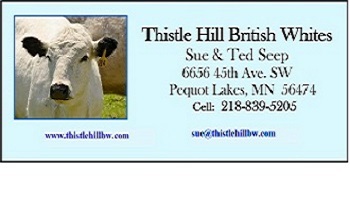 For a fee of only $100.00 for the whole year, your ad will be included on this great offer!